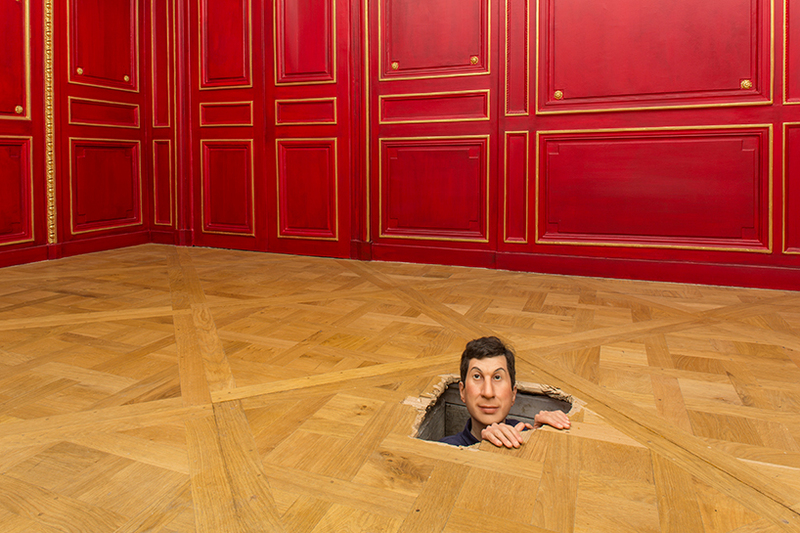 The Italian artist is known for incredibly realistic sculptures that are clever, satirical, and often irreverent. 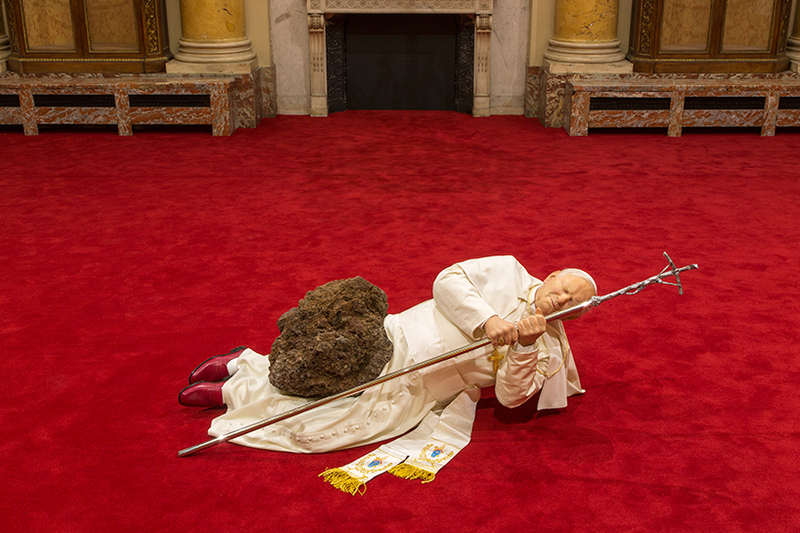 A primary example is La Nona Ora, a life-sized effigy of Pope John Paul II struck down by a meteor. 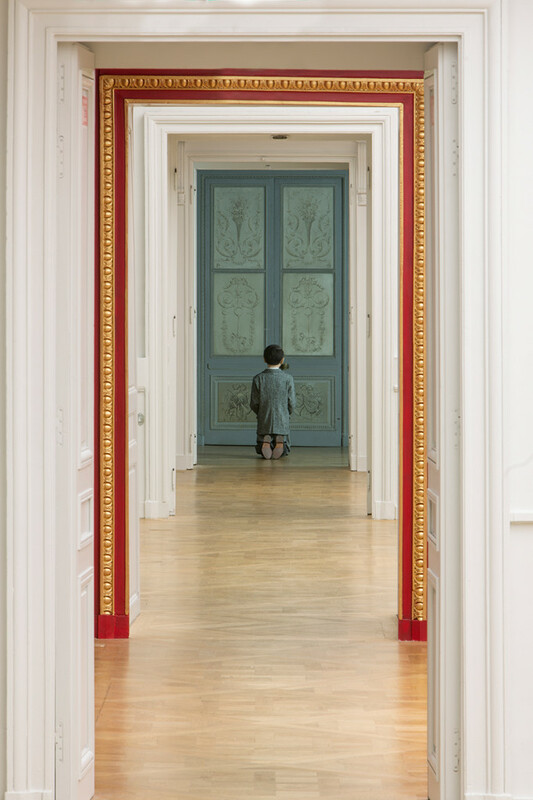 The work has inspired controversy since it was first exhibited in 1999 at the Kunsthalle Basel, and is no less provocative today. The current exhibition takes its title, Not Afraid of Love, from an elephant draped in a white cloth – a literal elephant in the room. 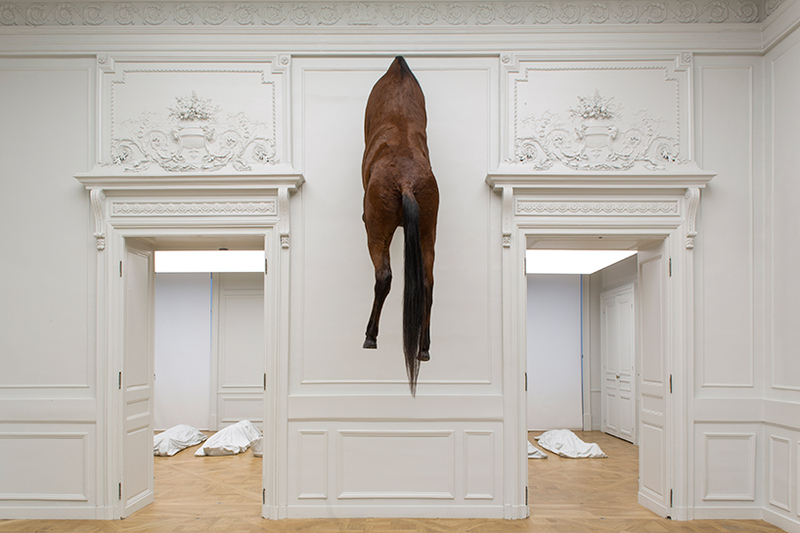 Other works include Untitled, a resin and wax version of Cattelan that peeks out from a hole in the floor; All, an installation of nine draped bodies sculpted from Carrara marble; and Him, a diminutive and penitent-looking Adolf Hitler. Many of the installations are witty, but not superficial, with subversive and multiple potent social narratives. 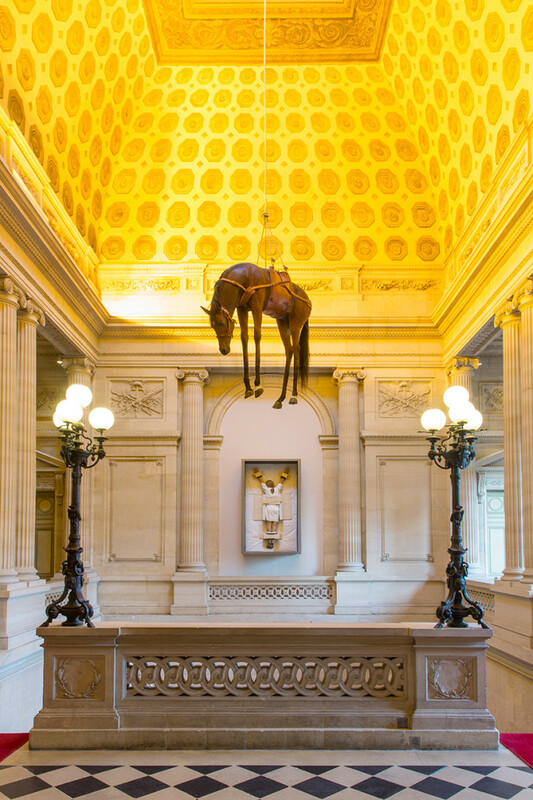 Cattelan’s period of retirement ended in early 2016 with a site-specific work, America, at the Guggenheim. 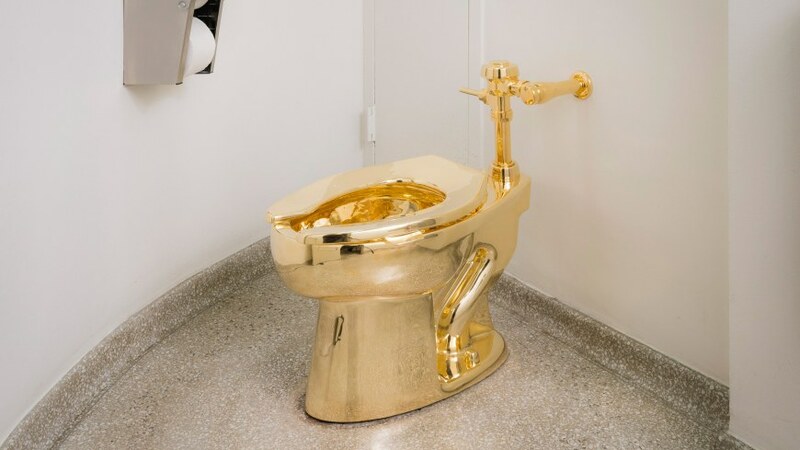 For what the museum calls a “participatory” and “ongoing project,” Cattelan replaced the toilet in a fourth floor restroom with a fully functioning version cast in 18-karat gold. It’s completely absurd, and it’s also a brilliant reference to the current state of politics, economics, and the excesses of the art world. The aesthetics of Not Afraid of Love benefit from the Neoclassical architecture of the Monnaie de Paris, and the works develop other narratives, perhaps, within a currency-producing national mint. The exhibition opened on October 21 and continues through January 8, 2017.